This series seeks to define and advance understanding of citizen media, an emerging field located at the interface between different disciplines. Citizen media is understood here as the physical artefacts, digital content, performative interventions and discursive formations of affective sociality that ordinary citizens produce as they participate in public life to effect aesthetic or socio-political change (Baker and Blaagaard 2016). acknowledges the important role that embodied forms of citizen media continue to play as influential sites of investment of aesthetic affectivity and/or political affinity, particularly in communities where digital infrastructures remain underdeveloped and literacy rates – digital or otherwise – are still low. aims to advance knowledge on the dialectic between citizen media and digital technologies, whether this is underlain by a relationship of empowering synergy or driven by dynamics of regulative tension – in those cases where the technologization of citizen media effectively restricts the transformative power of citizenship practices. As part of this second strand, the series seeks to publish studies that engage with the empowering or constraining impact of social networking platforms and other hyperlinked environments on the production, circulation and reception of citizen media content. The series aims to publish high-quality and original research on the interface between citizen media and a range of intertwined themes, including participation, immaterial work, witnessing, resistance and performance. Participation refers here to the way in which citizen media facilitates the construction of physical or virtual networks, communities, and movements of like-minded individuals around a collective sense of self. This may be driven by a desire to replace vertical structures of democratic representation with horizontal models of deliberation; channel the expression of cosmopolitanism, activist engagement or playful citizenship; and encourage the collaborative production and dissemination of knowledge and information (through wikis or the blogosphere). Immaterial work is understood here as the proliferation of free media content produced by unpaid amateurs, regardless of whether their involvement is solicited via crowdsourcing initiatives or self-initiated. The involvement of ordinary citizens in different forms of co-creation, particularly in the media industries (citizen journalism, community broadcasting, fansubbing, scanlation, fanfiction, and so on), is disrupting traditional structures of labour and eroding the social status of certain professions. Against the backdrop of media convergence, the study of citizen media can yield new insights into the role of prosumption, understood as the blurring of the boundaries between production and consumption, within the expanding gift economy. Witnessing thematizes the moral demands that citizen media (such as amateur photography and documentary filming) can make on audiences to act on behalf of ordinary people who suffer in situations of political and armed conflict or natural disasters. In these contexts, citizen media bridge distances in space and time, creating affective structures of global/local solidarity and mutual recognition. The growing need for protocols to facilitate the independent verfication of citizen media content adds another dimension to the role of witnessing in the context of citizen media studies. Resistance encompasses citizen media practices aiming to bypass various structures and systems of control and surveillance (hacktivism, piracy), voice political dissent and enact protest (flashmobs, street theatre, occupiers’ seizing of public spaces). Studies published under this theme may also explore the threat of co-optation through which existing structures of political and corporate power try to contain the subversive; and the enforcement of new legislation in various countries to muzzle protest and prevent social uprisings by ‘rationalising’ the use of public spaces. Performance refers to the production and consumption of citizen media content that thematises individual and collective identites and foregrounds the transformative potential of the affective and spectacular dimensions of public communication. Citizen media can draw on different human physical attributes and actions to create new spectatorial experiences. 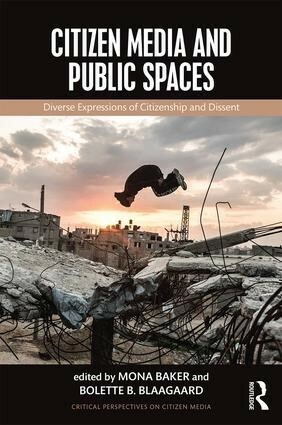 In this sense, citizenship can be performed to reconfigure the boundaries between traditional categories of cultural politics, mobilise or move audiences, or simply flaunt aspects of narcissistic and mundane behaviour.